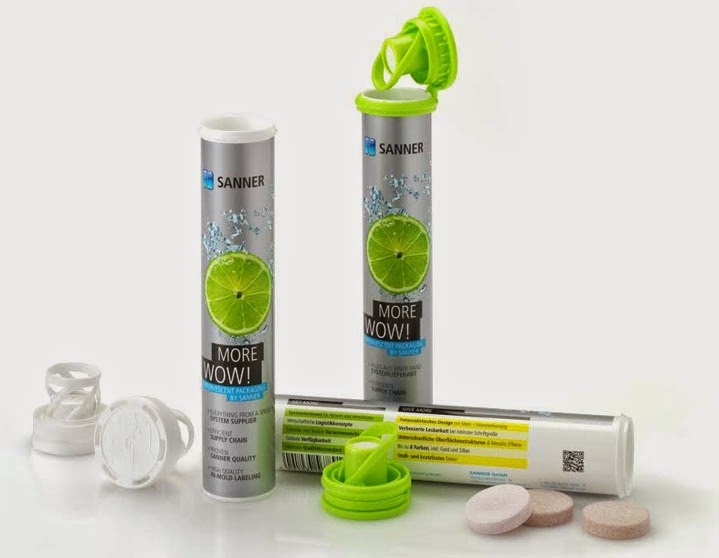 At Pharmapack 2015 in Paris (booth 903), Sanner GmbH, a manufacturer of high-quality plastic packaging for pharmaceutical, medical and healthcare products, showcases all three product launches from 2014 at one booth. The novelties include the Brilliance Tube for effervescent tablets and solid pharmaceuticals with IML technology, as well as two drop-in solutions for pharmaceutical packaging. With the AdCap capsules and the AdPack pillow packs, the company underscores its position as market leader for desiccant packaging. The new Brilliance Tube, manufactured with IML technology, is especially suited for effervescent tablets, but can also be used for solid pharmaceuticals. With photorealistic printing results, up to eight colors, metallic effects and different surface structures, customers receive a premium quality packaging solution, which generates more attention at point of sale. The unique bottom geometry makes it possible to smoothly pack the tubes into customary sales trays. Sanner customers receive everything from a single source: from printed labels and the manufacturing of decorated tubes through to the combination with proven desiccant closures from Sanner and the delivery as system packaging. The new AdPack desiccant pillow packs are an efficient, safe and economic solution for the protection of moisture-sensitive pharmaceuticals such as tablets and capsules inside the packaging. The pillow packs are available as single strips or on reel, and are made of extremely durable, tear-resistant and non-dusting Tyvek material. AdPack is highly permeable and ensures long-term adsorption of moisture and odors. Due to the flexible Tyvek material, the packaged drugs remain intact at all times. 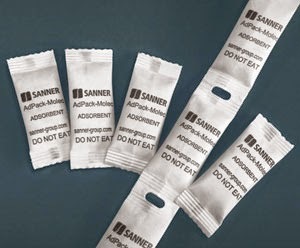 The distinct shape of the sachets eliminates potential confusion with pharmaceuticals, and prevents accidental ingestion. With the AdCap desiccant capsules, Sanner offers a 360 degree moisture protection for solid pharmaceuticals such as tablets and capsules, as well as food supplements. Without losing effectiveness, the desiccant capsules absorb moisture through a cardboard disc on the top, as well as through a unique grid structure on the side of the capsule. The grid structure ensures the highest patient safety, as it eliminates potential confusion with the drugs. AdCap is delivered in easy-to-handle quantities in aluminum bags. This entails a lower weight and fewer residues per packaging unit. Both desiccant solutions are suited for global application. They comply with all relevant European and FDA (Food and Drug Administration) regulations for contact with food and drugs, and are listed in a Type III Drug Master File (DMF). To offer customers high flexibility, both the desiccant pillow packs and sachets from Sanner can be processed on all standard dispensing equipment and filling lines. Sanner’s products are on show at Pharmapack 2015 in Paris (Paris Expo Porte De Versailles, hall 5) from 11 to 12 February 2015 at booth 903. EFI has expanded the program for its annual Connect Users’ Conference (January 20-23, 2015) with a “fireside chat” keynote featuring Thomas J. Quinlan III, president and CEO of global integrated communication services provider RR Donnelley & Sons Company (Nasdaq:RRD). Quinlan’s EFI Connect conference general session will take place January 21, 2015, at 8:30 a.m. at The Wynn Las Vegas. Appearing at number 268 on the Fortune 500 listing of the country’s largest corporations, Quinlan’s company, RR Donnelley, is the leading global graphic communications firm, with approximately 65,000 employees, annual revenues of nearly $11.5 billion, and more than 500 locations around the world. The company also is one of the largest users of EFI’s products, with hundreds of EFI MIS/ERP and web-to-print software, EFI Fiery print server, and EFI VUTEk superwide-format printer installations across its global locations. Quinlan, a veteran print executive, joined RR Donnelley in February 2004 as an executive vice president after serving in a succession of senior executive management roles at Moore Wallace. Quinlan has an MBA in finance from St. John’s University, and received St. John’s Alumni Achievement Medal in 2010. Pace University, where Quinlan received a bachelor’s degree in business administration, conferred an honorary doctorate to him in 2009. The Advisory Board of New York University's Graphic Communications Management and Technology Program chose Quinlan to receive its 2011 Prism Award, which recognizes distinguished leadership in the graphic communications media industry. In 2011 he also received AJC's National Human Relations Award, which honors professional and philanthropic leadership. At EFI Connect 2015, Quinlan will join Gecht for a fireside chat conversation, providing attendees with his unique leadership perspective on the printing industry, the future of print, and RR Donnelley’s strategic positioning for short- and long-term success. The discussion will also cover consolidation in the industry, offering Quinlan’s valuable insight as an executive who has participated in some of the largest printing company acquisitions ever completed. EFI executive and product portfolio sessions. The users’ conference will also have a solutions center featuring new EFI technologies and exhibits from EFI partners, including: 3M Commercial Graphics; AccuZIP; BCC Software; Canon; Esko; ESP/SurgeX; Honle UV America; Heytex Corp.; Kodak; Konica Minolta; MBM Corp.; the Print and Graphics Scholarship Foundation; Ricoh Production Print; Xerox; and Zünd. 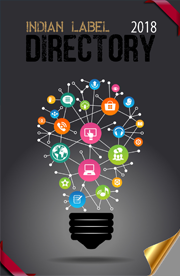 EFI Connect will be the printing industry's best venue for open dialogue and idea exchange in 2015. Every year, global business leaders gather at Connect to participate in educational sessions, receive hands-on experience, discuss industry trends, network with peers, voice their opinions, and learn from others. For more information and to register, visit www.efi.com/connect. Finat’s Young Managers Club (YMC) – a lively part of the European self-adhesive labelling association -- announces it will hold its second global congress at the Sheraton Hotel in Bratislava, Slovakia on April 16-18, 2015. 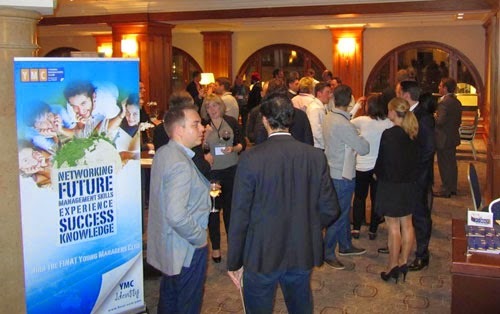 In recent years, YMC has selected locations in Central and Eastern Europe for its gatherings as part of its strategy to connect more with members from that region. Based on the positive experience gained from previous YMC meetings, this year’s programme once takes again a very hands-on approach, combining a company site visit, workshops, and panel discussion sessions. ‘The concept of managing a ‘thin company’ is about identifying the bottlenecks within one’s company to find and employ better solutions, and run the business more smoothly -- both at a production and administrative level,’ says Dana Kilarska. ‘When the Finat Young Managers Club was founded in 2008 on the occasion of Finat’s 50th anniversary, the aim was to create a platform where incoming business leaders could connect Finat’s successful past with a dynamic future. Now, six year later, the YMC itself has become an established feature of our association’s structure. Nevertheless it is still refreshing to experience the continuing stream of the YMC’s high-quality, interactive, and business-oriented programmes, which are setting new standards in Finat,’ concludes Jules Lejeune, Managing Director, Finat. Flexo Concepts announced that Packaging Plast is shipping all of its carbon fiber doctor blade systems with the TruPoint Orange doctor blade. The Italian OEM manufactures its chambers from a light carbon fiber material that offers printers better print quality and considerable savings on the inking systems of their presses. Among the advantages are better fluid movement, easy removal without safety concern, less water and wash-up solution usage, no corrosion, and extended doctor blade and end seal life. Technoflex, located in Hiram, Georgia, was awarded exclusive distributorship of Packaging Plast's doctor blade systems and accessories in June of this year. The company's territory includes the U.S., Canada and Latin America with the exception of Chile, Argentina, Uruguay and Brazil. All other global geographies will be serviced directly by Packaging Plast. Visit Flexo Concepts and Packaging Plast at CCE International in Munich, Germany, March 10-12, 2015 at Stand #386. 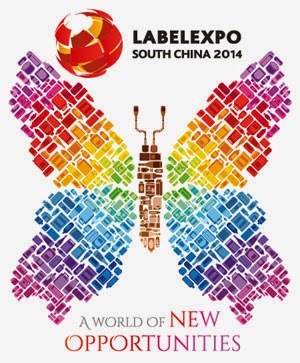 Guangzhou’s Pazhou Exhibition Center played host to the biggest Labelexpo South China yet with 2014’s edition reporting a 4% increase in footfall. Held 3-5 December 2014, the three day trade exhibition welcomed 5,297 visitors (up from 5,098 in 2012). Around 150 exhibitors showcased their latest products and services. New product launches included presses from Nuova Gidue, Venture Electronics and WeiFang DongHang Precision Machine Co. The exhibition was also supported by a two day conference. Well-attended and received, conference program highlights included the keynote presentation given by Jari Haavisto and Heini Lehti of UPM Raflatac along with John Li, senior packaging development manager at Johnson & Johnson Consumer Group Asia-Pacific. Both companies have collaborated to find sustainable labeling solutions and gave their practical insight into how sustainability must go together with profitability in everyday business practises. Another big draw was an overview of the latest smart products being used to encourage consumer interaction and spending with presentations by Top Print Labels, Peng Cheng Li Cultural Technology and Sun Chemical. The interactive Live Technology Clinic which made its debut at this year’s show also proved popular as two hour-long sessions gave show visitors access to one to one discussions with a panel of label and package printing experts. At the clinic, experts from companies including Kinglabel Adhesives, YUPO and the Printing and Printing Equipment Industries Association of China (PEIAC) amongst others, were on hand to advise on all aspects of label and package printing technology as well as help printers realize their potential, solve challenges and increase their opportunities. Today’s consumer wants to be engaged, informed, and entertained by the brands with which they do business. Paperboard packaging has been able to facilitate these important marketing functions with its flat, printed surfaces that are well suited to deliver cutting-edge interactive product information, in-store sales, and entertaining games, and more. The most ubiquitous of these technologies is the QR code (“Quick Response Code”). Seen today on packaging, commercial publications, billboards, and even on T-shirts, these codes send consumers to a product or company’s website or social media page once scanned via a mobile app. Even though the 2013 holiday season saw a 33% increase in QR code triggers over the previous year, as of late, there has been much debate as to whether consumers actually glean value from QR codes. In fact, many pundits suggest that QR codes are a dying technology as they are cumbersome and inconvenient to use. Today, consumers simply aren’t willing to take the time to pull out their phone, open the app, steady the screen over the product, take a photo, and wait for a website to load. 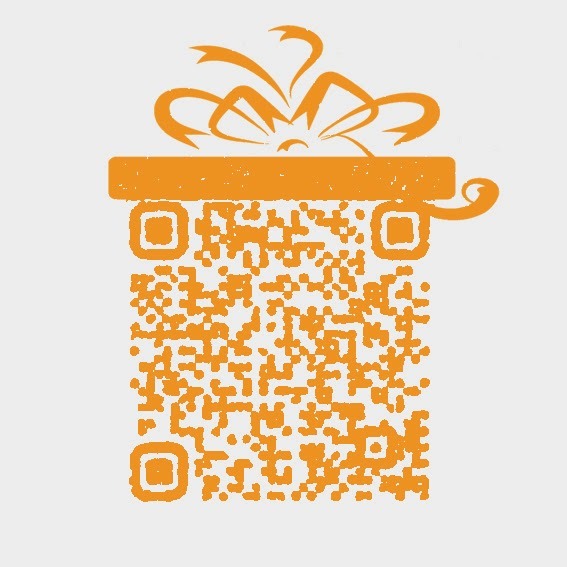 Furthermore, many QR codes bring consumers to sites that are not mobile optimized or do not have a direct connection to the scanned product. 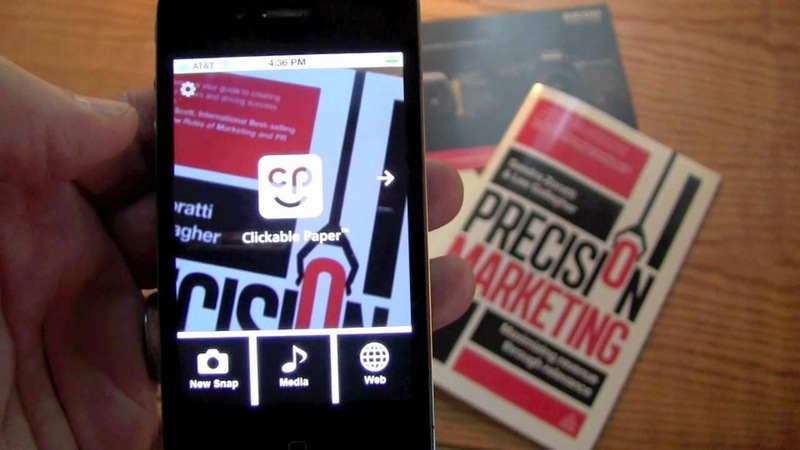 Nor do brand owners want to eat up valuable brand real estate with both a UPC and QR code. New apps such as Ricoh’s Clickable Paper and Google Goggles allow for direct mobile interaction with a package, thereby eliminating the need for a separate scanable code that eats up precious branding space and distracts from a package’s aesthetics. After scanning a package enabled with Clickable Paper technology, the consumer can access links to websites, video, charts, maps, blogs, shopping carts, product reviews, and other important data. Thus, unlike a QR code that only brings the consumer to a single website, these image recognition apps connect consumers to a wider variety of content. Touchcode has developed an invisible electronic code that is printed directly onto a package. By simply touching the encoded package with one’s smart device, the consumer’s screen comes alive with engaging product content. 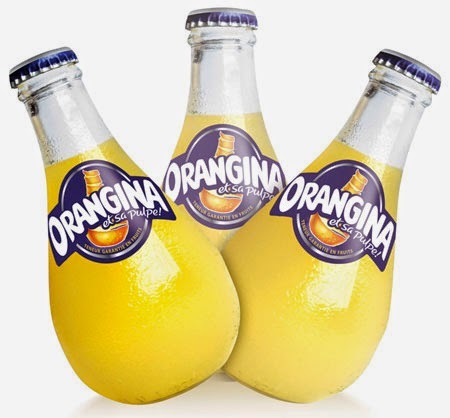 Again, this technology provides mobile interactivity without affecting package design. Furthermore, it is also currently marketed as a way for consumers to verify the brand authenticity of the products they purchase. Augmented reality apps allow consumers to train their smartphone or tablet on a package and then view superimposed computer-generated images that provide additional information about the product. For more detailed information, check out our blog that discusses this fascinating new technology. Not as widely used in packaging, NFC is a term for an exchange of information between two devices. With this technology, an NFC chip is embedded into a package so when a consumer with a NFC-enabled smart device approaches, product information is automatically transmitted from the chip to the consumer’s phone. Although large amounts of data cannot be stored in the chip, it can provide simple information such as discount vouchers, website URLs, or email addresses. Most likely, this technology will be used in the future as an easy way to purchase products or to turn on or off TVs, lights, etc. Although marginal today, the above technologies clearly reveal the direction in which interactive packaging is heading. As QR codes represent a promising yet poorly executed idea, these new technologies aim to simplify and optimize the consumer’s experience. Luckily for our industry, no matter where these technologies move, paperboard will continue to be the packaging medium best suited to engage and delight potential customers with its ability to easily interact with our ubiquitous mobile devices. With the AniCam 3D Scanning Microscope and its associated QC applications, Troika Systems has set new standards in measuring anilox rolls, gravure cylinders and flexo plates. 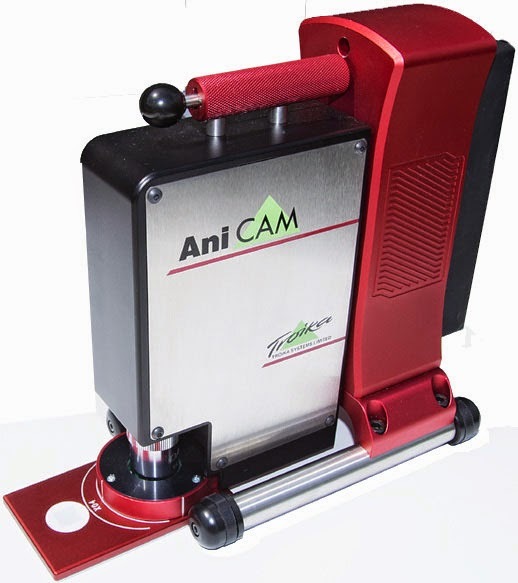 While the AniCam Anilox QC allows to take single or multiple readings across a roll, the AniCam Gravure QC allows to take single or multiple readings across a cylinder. “The technical excellence and engineering capabilities of Troika products are well recognized world over and also by printers in India. A leading brand associated with Quality Control programs that allow users to make considerable cost and time saving when checking and managing their Flexo printing plates, their anilox inventories or gravure cylinders, we are happy to now provide the Indian labels, flexible packaging, and corrugated markets with Troika measuring equipments AniCAM and Plate-II-Print. 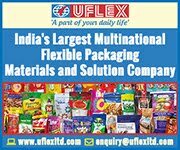 This association will enable us in adding value to the list of our offerings for the label printers.” says Gourav Roy of Flexo Image Graphics. With almost 600 units sold to label, wide web, corrugated and security printers globally, and to over 75% of all known anilox manufacturers worldwide, the AniCAM and its applications are really proving to be a remarkably successful product for Troika and its customers. Xeikon reports a successful conclusion to its presence at Labelexpo South China that took place early December in Guangzhou. Being the only mainstream manufacturer of high quality, high productivity digital label presses at the show, the company was able to mark a strong presence which showed its full dedication and commitment to the Asian label industry. 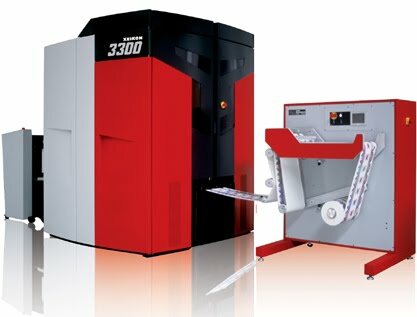 On display at Labelexpo South China was the Xeikon 3030, the narrow web entry-level press of the Xeikon 3000 Series. It is meant for label converters looking to foray into the digital production of labels. In addition to prime label applications, the press is also suitable for producing promotional and transfer applications. With a variable web width ranging from 200 mm (7.9 inches) up to 330 mm (13 inches), it runs at a top speed of 9.6 m/min (31.5 ft/min) and can handle production volumes of up to 190 square meters/hour (294.5 MSI/hour). With five press models, the 3000 Series is the largest range of digital label press offerings on the market today, ranging from entry level to higher capacity options. All five models deliver the same 1200 DPI imaging quality and are able to print on an unrivalled range of substrates without pre-coating or pre-treatment, including various self-adhesive materials such as co-extruded films, BOPP, PVC and PET, transparent/opaque films as well as paperboards. The full-rotary printing technology with variable repeat length guarantees that the press speeds are not affected by the label size and/or the number of colors used. Also included is the Xeikon X-800 Digital Front-End which can be integrated into any production environment. Its modular setup allows label and packaging converters to efficiently manage their specific production needs. The X-800 also enables the easy implementation of variable data on labels or packages, even allowing to add variable information after the files have been ripped. The combination of the variable data capabilities and the top-notch printing quality, i.e. the use of micro texts, variable barcodes or numbers, the ability to print guilloches or the use of specific colors and security toners, makes the Xeikon 3000 Series an excellent tool for the brand protection of labels and packages. Finally, the Xeikon 3000 Series presses also use the QA-I toner, which meets FDA guidelines for direct and indirect food contact. Sonoco, one of the largest diversified packaging companies, has named the Company's Waco, Texas, flexible facility a gold Sonoco Sustainability Star Award recipient for the plant's successful efforts to achieve landfill free status. 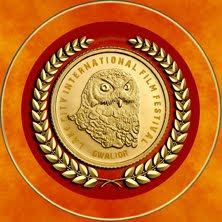 Waco is the first Flexibles facility to achieve this award. The award marks a milestone in landfill-free efforts that have been underway since 2013. Since then, Waco has diverted 90-100 tons per month away from the landfill in the forms of printed OPP, printed PET, LDPE, mPET, PET and fiber cores. Half (50%) of that waste is recycled and converted to energy. "After the Company announced its goal of taking 10 percent of its facilities landfill free, we began efforts to eliminate the facility's waste streams," said Bob Puechl, vice president, Global Flexible Packaging. "The Waco team took on this challenge for the flexible division.Waco has proven we can become landfill free even with a very difficult product mix." Gold recognizes facilities that have achieved 99% landfill diversion. Bronze recognizes facilities that have made significant waste reduction achievements, such as drastically reducing their waste streams or implementing a new composting system. A recycling leader with locations and expertise worldwide, Sonoco Recycling annually collects more than 3 million tons of old corrugated containers, various grades of paper, metals and plastics. In addition, the Company has experts who provide secure, reliable and innovative recycling solutions to residential and commercial customers. Currently, Sonoco Recycling operates five material recovery facilities (MRFs) serving more than 125 communities in which curbside-collected residential and commercial materials are processed. The Company also operates recycling programs which identify waste reduction opportunities that reduce operating expenses for many of the largest consumer product companies in the United States. Esko North America moved to its current site in Miamisburg in June 2010, to handle the requirements for a staff of approximately 260 in North America and 80 in Miamisburg. The facility houses the company’s software support group, customer training and demo centers, marketing and business development, human resources, and finance and administration. Esko has another office in the US in Ludlow, MA serving mostly of software development. The new Esko Innovation Center has been expanded 16% in size to 33,580 square feet, well more than half the size of a football field. Nearly $1 million has been invested both in office refurbishments as well as investment in a complete complement of demo hardware and software solutions. The focal point of the facility is the demo and training center, encompassing separate demo areas for both software and for hardware. In the process, three new full-time jobs have been added to support the center- one for the software demo area and two for the hardware center. The Esko Innovation Center is a hot spot to demonstrate new ideas and solutions, experiment with new processes, and produce samples for packaging, wide format and commercial print. Added to the inventory accessible in the demo room is a complete representation of Kongsberg cutting tables, including the super-wide Kongsberg C. These tables are typically used to produce packaging prototypes as well as short production runs of displays and packaging. Also on site are This is CDI imaging devices used to create digital flexo plates, and software that is used by brand owners and printers to develop a wide range of packaging and display materials. Siemens India is showcasing its range of micro-automation solutions for manufacturers and machine tool builders focused on improving productivity. 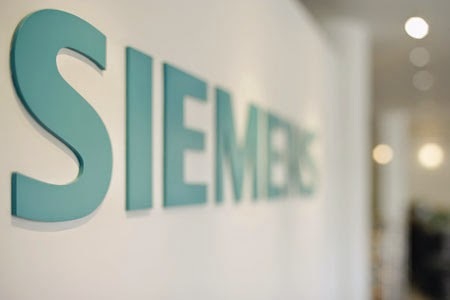 Siemens is a co-partner at WIN INDIA 2014, which is powered by Hannover Messe, the world’s leading trade fair for industrial technology where India is the partner country. Among the feature-rich solutions that Siemens is showcasing are SIMATIC S7-200 SMART, part of the SIMATIC Controller series. Other solutions include the New Logo 8 (Nano PLC), the Powerful S7-1200, SMART Servo Drive V90, SMART AC Drive V20 and the New Basic Line 2nd Generation HMI. Targeted at the Pharmaceutical, Textile, F&B, Packaging and other ancillary industries of the Automotive value chain, these solutions drive customer programs to reduce overall costs and development time. This in turn favorably influences cost competency and helps reduce the time to market for machines and equipment’s. X-Rite Incorporated, a global leader in color science and technology, announced the newly updated Pantone Certified Printer Program for commercial printers and packaging converters that addresses new industry standards. The Pantone Certified Printer Program reviews and analyzes every aspect of color operations - from preflight, file preparation and proofing, to ink formulation and mixing, and process control in the pressroom. This creates total quality management based on industry best practices and procedures that drive consistent and repeatable color. “As a trade printer, you must be lean to be competitive,” says Michael Clark President of Cedar Graphics, an EarthColor company and a Pantone Certified Printer. “The more I learned about the Pantone Certified Printer program and how it could help streamline our processes and make them more consistent, the more interested I became.” The outside perspective that X-Rite Pantone brings to the Pantone Certified Printer program enabled Cedar Graphics to ensure consistent operation from department to department and shift to shift, from ink room through prepress and the pressroom. “Everyone is now speaking the same language, and we are much more efficient as a result,” Clark says. 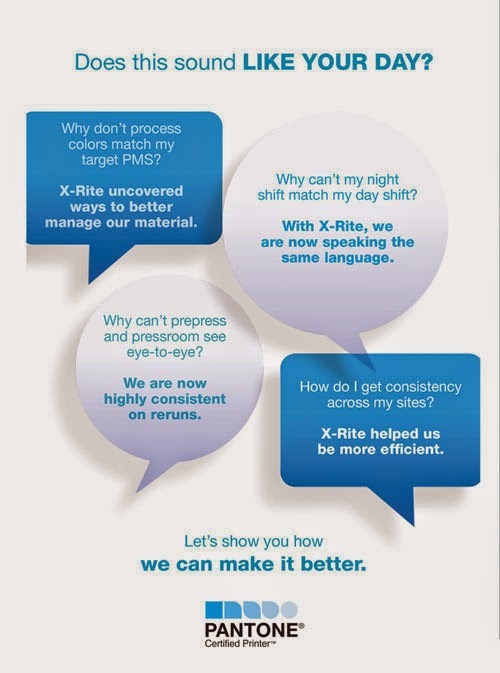 The process begins with a Pantone Certified Printer Audit conducted by an X-Rite specialist. The audit process isolates issues that compromise color accuracy and is the basis for the implementation of Standards-Based Proceduresso that all operators on all shifts can consistently produce the best color the same way. “Industry Standard Operating Procedures reduce variability across shifts and over time, as well as provide faster, more consistent staff training,” Gundlach says. “Surprises cost money, and consistency reduces waste”. Proofing and printing to standards helps print and converting operations set and meet customer expectations. Pantone Certified Printers follow standard operating procedures throughout the production operation when specifying CMYK colors based on their print standards. Pantone colors are specified and formulated using spectral data from the PantoneLIVE digital libraries. Packaging converters and printers interested in pursuing this certification to bring additional color consistency, quality and efficiency to their operations not only benefit from the certification process but are also able to use the Pantone Certified Printer logo to add even more credibility to their sales and marketing efforts. Diadeis, one of the world’s leading design and premedia agencies, is pleased to announce the acquisition of Graphic Systems Group (GSG), a creative production agency serving premier brands from around the globe. This is the latest acquisition for Diadeis, giving them a US-based resource that supports the company’s mission to provide brands with superior premedia, packaging design, and production expertise. Founded in 1980 as high-end retouching and fine art boutique, GSG has grown to become New York’s pre-eminent independent creative production agency, serving the world's leading brands, including L’Oréal, Novartis, Abercrombie & Fitch, Avon, and NBC. GSG’s range of services include multilingual mechanicals, premedia, digital, visual merchandising, and software implementation. Both Diadeis and GSG share a focus of providing marketing project optimization directly to brand owners through the process of production decoupling. This processes separates the communication media creation phase from the premedia stages, giving brand owners more control over the production process and saving them time and money. Using this model, both companies have grown to become leaders in providing production services. “We mainly work for multinational companies who come to us to consolidate all of their marketing communication materials to speed up their time-to-market and cut costs,” notes Jan Stollerman, GSG’s Managing Partner. This acquisition enhances this work, as each company also possesses specific expertise that compliments the other. 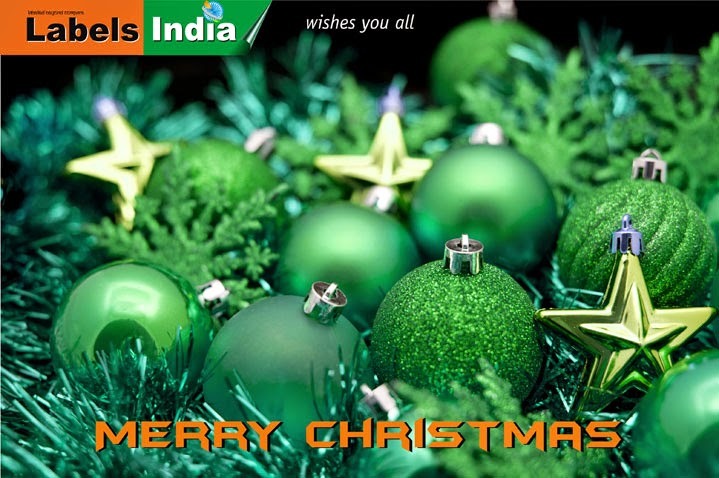 Diadeis brings an in-depth knowledge of the packaging sector that will compliment the work being done by GSG. Diadeis currently produces packaging design, mechanicals, pre-press and comps on behalf of such high-profile brand owners as Unilever, Nestlé, Mondelez, and LVMH. In addition, Diadeis has over 40 years of experience working with the top printers in the world and developing comprehensive skills in color management that brings to service GSG’s client base. The acquisition of GSG is the latest in a series of acquisitions by Diadeis. Earlier this year, the company acquired Alia, the leading premedia platform working for the Indian market. With these acquisitions complete, Diadeis now has over 600 employees worldwide and produces over 50,000 packaging projects, 7,000 marketing operations, 200 branding events, and 700,000 pages each year. Enfocus today announces the next major upgrade to its Enfocus Connect product line — Connect 13, available for purchase late February 2015. Connect 13 will focus on expanding file delivery controls, and will deliver an all new Connector that streamlines remote installation, while providing a single point of access for designers to create and verify print quality PDFs and automatically deliver them to their print service provider. Enfocus Connect is a solution to remove technical barriers from consistent PDF creation and total job delivery to remote servers. With Connect, all the settings are encapsulated in a custom application called a Connector, which is easy to access and provides consistency even for novice users. Connect comes in three versions, Connect YOU for individual designers and production artists, and Connect ALL/SEND for print service providers and other graphics organizations who want to distribute Connectors to remote users. Connect 13 will focus on workflow and delivery enhancements for print service providers while delivering a new advanced Connector structure that is easier to install, manage and access for all users. Key new workflow functions include the ability to restrict or allow delivery of files based on file type. With this feature, print service providers can limit what types of files are delivered to their servers and communicate any issues before the file leaves the designer’s workstation. In addition, users will be able to select what type of Enfocus PitStop Report is created and delivered with files, and apply PitStop Action Lists to locally saved PDF files processed by a Connector in order to apply watermarks, reduce image resolution, and more. Connect delivers flexibility when it comes to PDF creation and job delivery. One of the advantages of Connect is that Connectors can be completely customized to meet the needs of an individual user or product workflow. Not only can the settings for each major function of Connect be customized, Connectors can be tailored to perform just one function or several. With more focus on adding workflow features such as the ability for an HTTP server to send custom web page URL or trigger a job file delivery based on preflight results, Connect 13 will be able to be more integrated to existing systems providing user level or product level customized entry points. This can help reduce end user confusion when submitting jobs and ensure what’s sent in meets the production requirements. The bottom line is that designers can be assured that their intent is communicated accurately, and print service providers can streamline production processes, taking the bulk of the file correction burden off busy prepress personnel. Connect 13 will be released late February 2015. At that time, Connect YOU will be available online and through authorized resellers for 149.00 EUR. Connect ALL and Connect SEND will be available through Enfocus authorized resellers for 3,499 EUR and 1,499 EUR respectively. Customers with a maintenance contract and customers who purchased any Connect 12 product after December 1, 2014 (until release date) will receive the Connect 13 upgrade at no charge. Customers who bought Connect 12 earlier or using older versions of Connect should contact Enfocus or their authorized Enfocus reseller for upgrade pricing. Xeikon announces the 2015 edition of its Xeikon Café Packaging Innovations (www.xeikoncafe.com). Hosted by Xeikon and Xeikon’s Aura partners, the event will take place from Tuesday 10 March through to Thursday 12 March 2015 in Xeikon’s R&D and production site in Lier. It is aimed at helping label and packaging printers as well as converters and print buyers worldwide enhance and transform their digital production into a profitable business. The concept of the Xeikon Café is a proven formula that provides an informal knowledge exchange platform covering the different aspects of digitalizing print production, while cutting through the information overload. 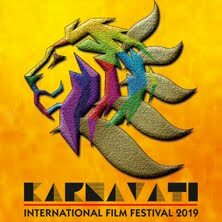 The concept exists for some years and kicked off with a series of one-day local events. In 2014, the very successful and highly applauded Xeikon Café Packaging Innovations was organized over a period of three days; participants praised the event and many have already confirmed their attendance for 2015. At the Xeikon Café, there will be live demonstrations on Xeikon’s large range of digital label presses, including on the brand new Xeikon Cheetah digital color press, the fastest label press of its class. Attending visitors will have the opportunity to witness just how digital production is enhancing and transforming the label and packaging industry and how it is turning short to medium runs into a profitable business. Participants will also see the full range of Xeikon’s label and packaging application suites in action, i.e. the Folding Carton Suite, the Self-Adhesive Label Suite, the Heat Transfer Label Suite and the In-Mold Label Suite, featuring live job preparation, production and finishing of real-life and purpose-built applications. In addition, a variety of applications will be on display, illustrating what digital production can achieve. Aura Partners involved in the development of the label and packaging application suites will describe their contributions in detail during several technical seminars. Xeikon customers will also share their experience of using their application suites and talk about how this has helped secure new business sales and growth. And finally, there will be plenty of opportunities to ask questions, exchange ideas on digital production and engage with Aura Partners, Xeikon staff and peers. Dedicated information about each of the label and packaging application suites on show will be released shortly, so stay tuned. The 2015 Xeikon Café Packaging Innovations will be hosted in collaboration with the following Xeikon Aura Partners, who will all attend the event: AB Graphic International, ACTEGA Terra, BOGRAMA, CERM, Esko, Grafisk Maskinfabrik, HYBRID Software, KURZ, Label Traxx, Meech International, Metsä Board, Michelman, OneVision Software, Taghleef, Rietstack, Shobertechnologies, Spartanics, Stora Enso, Treofan Group, Tronics and Zünd. The Xeikon Aura Partner Network is a robust and fully encompassing partner network. This group brings together information about Xeikon partners and their integrated solutions in a centralized location and as a professional networking source. The Xeikon Aura Partner Network is based upon non-exclusive relationships with industry-leading partners, in the areas of print media, equipment, software and consumables. The Xeikon Café will take place at Xeikon’s production site in Belgium, March 10-12, 2015 with basically the same program each day, so participants can choose the date that best suits them. Attendance is free but registration is required online at www.xeikoncafe.com. Mercian Labels and AC Labels announce merger..
Mercian Labels announced that it will be merging its wholly owned subsidiary AC Labels Ltd into its main business. Since its purchase by Mercian Labels in 2010, AC Labels’ reputation for producing high integrity variable data and barcodes has resulted in them being awarded the prestigious IPIA Trade Printer of the Year award twice in two years. In October 2012, AC Labels also received accolades for producing the world’s longest barcode label – an impressive 40 meters long! From 2010, AC Labels’ growth has been exponential, providing excellent barcode solutions to blue chip companies and institutions, mainly via the Print Trade, in industry setting lead times with award winning service. Mercian Labels itself provides many millions of labels annually to both the Print Trade and end users, using a combination of digital, flexographic and hotfoil presses to ensure a bespoke labelling solution that spans all industries. Mercian Labels services over 10,000 business and prides itself in setting the industry standards for fast turnaround, the vast majority of its orders being produced in just 3 days from artwork approval. Millions of pounds have been invested over the last 4 years on a new generation of presses and building infrastructure, so that AC Labels and Mercian Labels are primed to move forward together into the powerhouse of print providers. With this in mind, the businesses have made the decision to pool all of their resources to form a new Mercian Labels, which will allow complete access to each others’ facilities; from materials, through pre press, to a wide range of finished goods, all delivered in the customary speed and all provided with the best service in the industry. With this in mind, with effect from 31 December 2014, AC Labels Ltd (company number 04226935) will cease to trade, and all of its assets and business will merge with those of the existing Mercian Labels Ltd (company number 00951963). Mercian Labels Ltd was formed in 1969, and its principal business is manufacturing self adhesive labels in medium and short runs for UK businesses, using a variety of methods including flexographic, hotfoil and the latest digital printing technology. AC Labels in Derby were acquired in 2010, adding long run variable data and barcode label capabilities to the product portfolio, and have recently added the latest generation of fast flexographic presses to their range of equipment. Benny Landa has been selected Entrepreneur of the Year in Israel. Inventor and pioneer of commercial digital printing, and founder of Indigo (acquired by Hewlett-Packard in 2002), Benny transformed the print industry in 1993 when he revealed the world’s first digital color printing press, earning him the title of father of commercial digital printing. Today at Landa, Benny continues his visionary pathway - pioneering futuristic nanotechnology applications in the fields of imaging, energy and health. His vision for the future also includes investment in promising Israeli technologies, and philanthropic activities that enable bright Israeli youth of “privileged minds and underprivileged means” to achieve higher education. Benny is considered the printing industry and Israel's most prolific inventor. Recipient of numerous honors and awards, including the imaging industry's prestigious Edwin H. Land medal, he has also been awarded numerous lifetime achievement awards and honorary doctorates. He continues to add to his portfolio of over 800 patents worldwide, that provide the companies he founded with a solid intellectual property base. Benny Landa is Israel’s candidate for the title of World Entrepreneur of the Year to be announced in June 2015 in Monaco. With representatives from fifty different countries, the Entrepreneur of the Year contest, run by the accounting firm Ernst & Young, is considered a major competition in the international business sector. It has been taking place for over thirty years and is considered a good predictor of business success. 50 of the 100 leading NASDAQ companies have won this competition. The jury that selects the country winner is independent and comprises senior figures in the Israeli economy and business sector. The committee reviews all local candidates and selects a winner to attend the world finals in Monaco. The independent committee of judges included: Yair Seroussi, Committee Chairman and Chairman of Bank Hapoalim; Dr. Shimon Eckhouse, Founder and Chairman of Syneron; Dr. Orna Berry, CEO of EMC Center of Excellence Israel; Shlomo Dovrat, Co-Founder Carmel Ventures; Eyal Waldman, President and CEO Mellanox Technologies, Dr. Avi Hasson, Chief Scientist , Israel Ministry of Economy; Yuval Cohen, CEO Fortissimo; Mia Likornik, co-founder Meitar Liquornik Leshem Tal Geva; Dov Moran, Founder and CEO Komigo; Haim Shani, Partner, Israel Growth Partners. The international selection criteria for Entrepreneur of the Year were: leadership, financial strength, management capabilities and strategic thinking, organizational culture, innovation, crisis management and global impact. 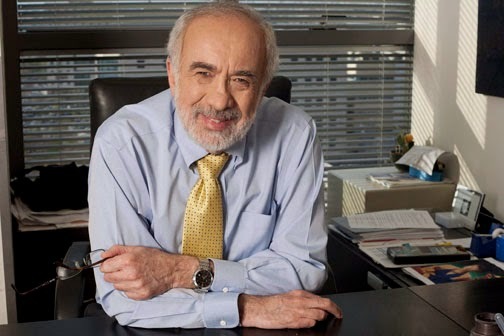 As Entrepreneur of the Year, Israel, Benny Landa will represent his country at the international competition in Monaco in June 2015. 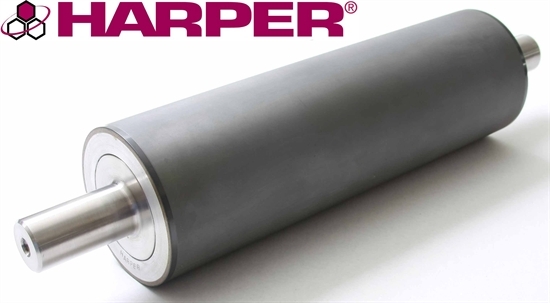 Global anilox roll supplier Harper Corporation of America prides itself on providing exceptional products and services to its customers and staying on the cutting-edge of innovation in the flexographic industry. To ensure anilox equipment is producing optimal results, Harper Corporation is pleased to introduce Anilox Surface Cleaner to its lineup of HarperScientific products. This specially formulated cleaner is ready-to-use and designed to remove surface stains and residue blemishes from the surface of ceramic anilox rolls. The proprietary emulsifier helps to break down and loosen surface stains including water and ink marks, surface line blemishes, and coating residue. It is especially effective on coatings containing silicone. In addition to cleaning anilox rolls, this concentrated cleaner can also be used on press components and accessories. To use in the most effective manner, simply spray a liberal amount of the Anilox Surface Cleaner (ASC) onto a HarperScientific X-Cel Pad. Then, using a circular motion, work the ASC into the stained area keeping it wet for two to three minutes. Wipe the area clean using the combination of a cloth or X-Cel Pad with an alcohol-based solvent. Rinse and dry the surface and the stain will be gone. Regular cleaning and maintenance can prolong the life of equipment and provide higher quality, consistent results. Enfocus today announced the latest release of its leading automation solution, Enfocus Switch 12 update 3. 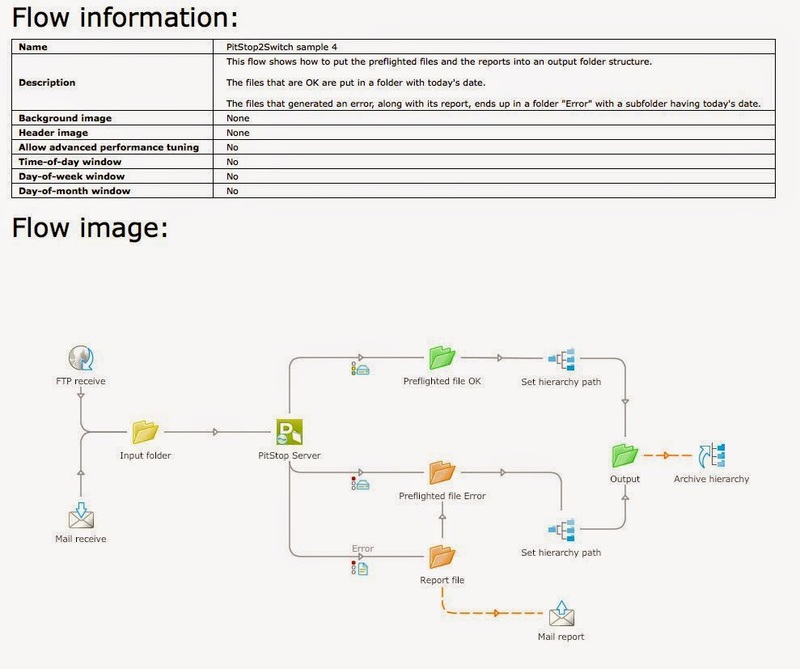 Included in this release are new flow documentation and improved communication features that enable users to share knowledge on flows, work with greater efficiency and improve file sharing. Support for Apple’s latest operating system is also included in this release. Together, these features build on the position of the Enfocus Switch solution as a critical automation resource for businesses of all types, sizes, markets and budgets. Businesses use Enfocus Switch to automate the way documents are managed in their organizations. Switch seamlessly integrates with a company’s existing systems, connecting the different applications and steps needed to process files. The release of Switch 12 update 3 gives these users flow documentation and improved file sharing capabilities that further enhance the way these files get distributed. In addition, Enfocus Switch 12 update 3 will support OS X 10.10, the Apple operating system known as Yosemite. This brand new feature gives users the tools to document why, when, and how Switch flows were built. This capability means users can share knowledge and capture the actual status of a flow, making it easier to work with Switch, and giving new employees the ability to get started with Switch faster and easier than before. 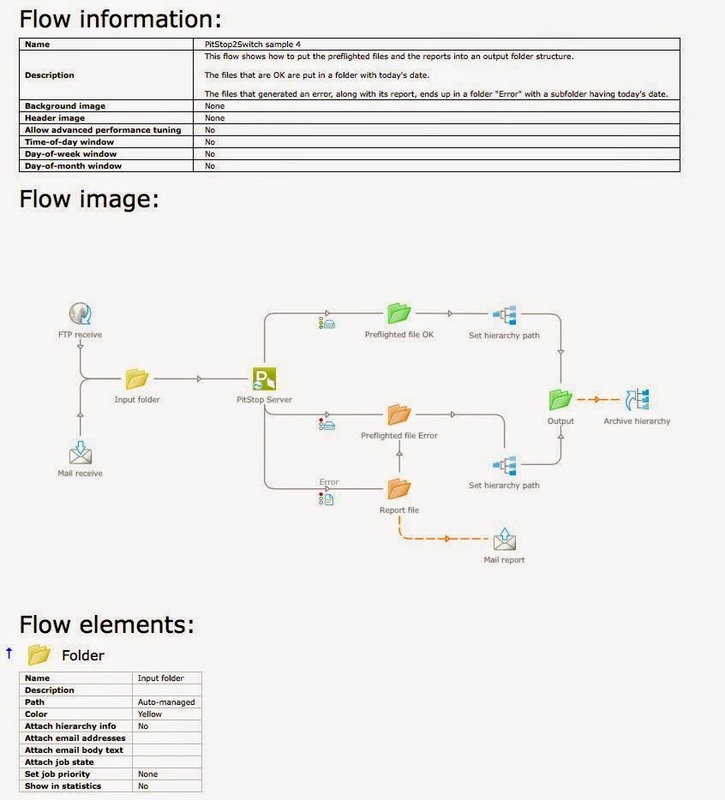 With one click, users can easily generate an HTML page which includes all information about their flow, including flow name, description, and creation date; the flow image as shown on the canvas; and the properties of all elements in the flow. This documentation feature has received positive feedback from beta testers who report that the new feature has saved them time and aggravation. Tester Thomas Züger, Project Leader IT at Compendio Bildungsmedien AG, reports: "A big advantage in Switch 12 update 3 is the documentation feature. I made a spelling error in the name of a dataset. A few days ago, I found the error and, thanks to the documentation feature, I found all existing instances of the error using the find method in the browser. Well done! I'm very happy with the way this feature prevented a small mistake from becoming a big problem." Switch 12 update 3 includes a new communication tool that enables users to communicate with an HTTP or an HTTPS server in both directions. This feature means Switch users can connect with even more third-party applications, such as Dropbox. In addition, users can download and upload files, and retrieve or update information from a website. User can now connect Switch to their mail server using the TLS (Transport Layer Security)protocol. In addition, the “Mail Receive” tool has been improved and is now called "Convert to plain text". This option allows users to save the email message either as HTML or as text. This release includes an extra property “width” for send, archive hierarchy and output folders. This lets users specify the length of the version number of duplicate output files. Leading zeros are added as required. A new authentication method for logging on to an (S)FTP server through FTP send and FTP receive has been implemented in this release. Users can now use either user name and password or a "public key" to log on to the server. Switch 12 update 3 also includes two new variables for use in the Switch Job group: Job.UserFullName and Job.UserEmail. In addition, the Hold Job properties "Unit" and "Delay" have been renamed to "Retry After" and "Retry Unit" to avoid confusion. Finally, the logging preferences have also been improved, giving users the option to have log messages stored in CSV files, instead of comma-separated text files. Users can also indicate which delimiter to use and where to store the files. 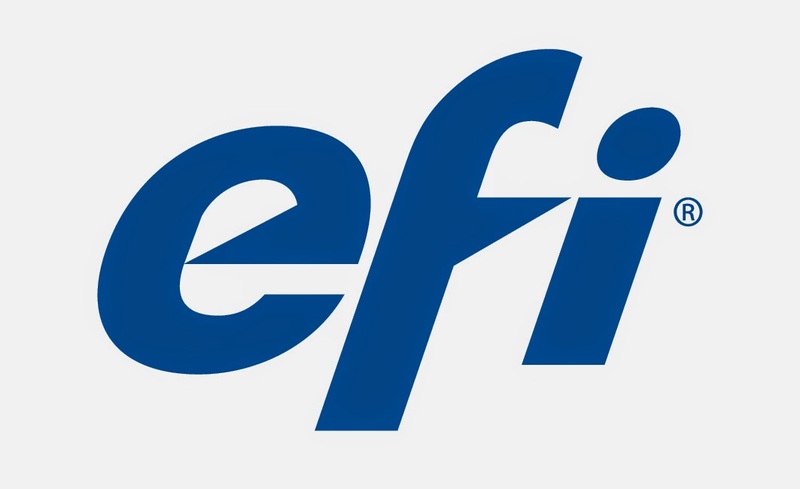 EFI, a world leader in customer-focused digital printing innovation, today announced that Avi Reichental, president and CEO of 3D Systems, will participate in a "fireside chat" keynote with EFI CEO Guy Gecht to close out the 15th annual EFI Connect Users Conference, being held from January 20-23, 2015 at The Wynn Las Vegas. Reichental’s company is a leading innovator in the 3D printing space. The Rock Hill, S.C.-based business invented 3D printing with its Stereolithography (SLA) printer and was the first to commercialize it in 1989. 3D Systems has more than 1,200 patents, and its comprehensive range of 3D printers is the industry’s benchmark for production-grade manufacturing for aerospace, automotive, patient-specific medical device uses, as well as for a variety of consumer, electronic and fashion accessories. At Connect 2015, Reichental will join EFI CEO Guy Gecht for their keynote discussion 8 a.m. on Friday, January 23, at The Wynn. During the session, attendees will gain insights from an industry leader on the 3D printing market and where it is heading. The fireside chat will also cover the near- and long-term opportunities 3D printing presents to the broader printing industry. Reichental, who has been the president and CEO of 3D Systems since September 2003, was named as one of Fortune magazine’s Top 50 business leaders last year. Under his leadership, 3D Systems has emerged as a global 3D content-to-print leader that is redefining and shaping how we design, produce, consume and live our lives. Through his passion to democratize the design-to-production process, the company has evolved and expanded its business model from a supplier of 3D printers to a provider of end-to-end solutions. Reichental is a recipient of the regional 2011 E&Y entrepreneur of the year award, two Innovator Awards, and holds 25 U.S. patents. His fireside chat will conclude an eventful and educational conference at one of the printing industry’s most successful users group gatherings. EFI Connect 2015 will bring hundreds of executives from many of the world’s leading graphic communications companies. Next year’s conference features expanded content designed to drive businesses in commercial printing, publishing, packaging or digital print and/or marketing services toward better productivity and higher profits. EFI Connect 2015 will have more than 200 education and breakout sessions, including an additional keynote session on January 21 featuring Andrew Paparozzi, chief economist of printing association AMSP/NAPL/NAQP. And, for the first time, the conference will be co-located with the 2015 AMSP/NAPL/NAQP Executive Leadership Summit. 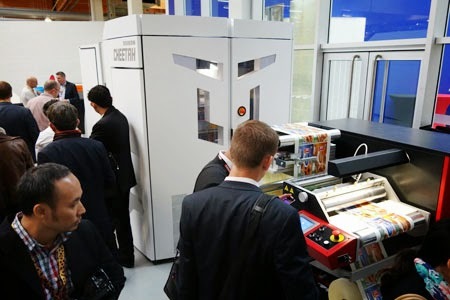 EFI Connect will be the printing industry's best venue for open dialogue and idea exchange in 2015. Every year, global business leaders gather at Connect to participate in educational sessions, receive hands-on experience, discuss industry trends, network with peers, voice their opinions, and learn from others.